Beautiful, straight, white teeth are great, but to remain healthy, the teeth need a strong foundation. The gums support the teeth, so it is important to monitor periodontal health. If the gums begin to show signs of infection, restorative dentistry services can address oral health problems and restore the gums to give the teeth a healthy and supportive frame. By providing root planing and scaling to his Lake Mary patients, Dr. Steven Hochfelder can help them avoid the need for more invasive, surgical treatment down the road. It is important to maintain the health of the gums, which is why periodontal care is a big focus of Dr. Hochfelder’s practice. Each routine dental appointment will include a thorough examination of the entire mouth (including the gums), as well as a cleaning. This, along with a good at-home oral hygiene routine, is often enough to maintain the health of the teeth and gums. However, there are cases in which additional care is needed. Patients who experience any of these symptoms may be candidates for root planing and scaling. 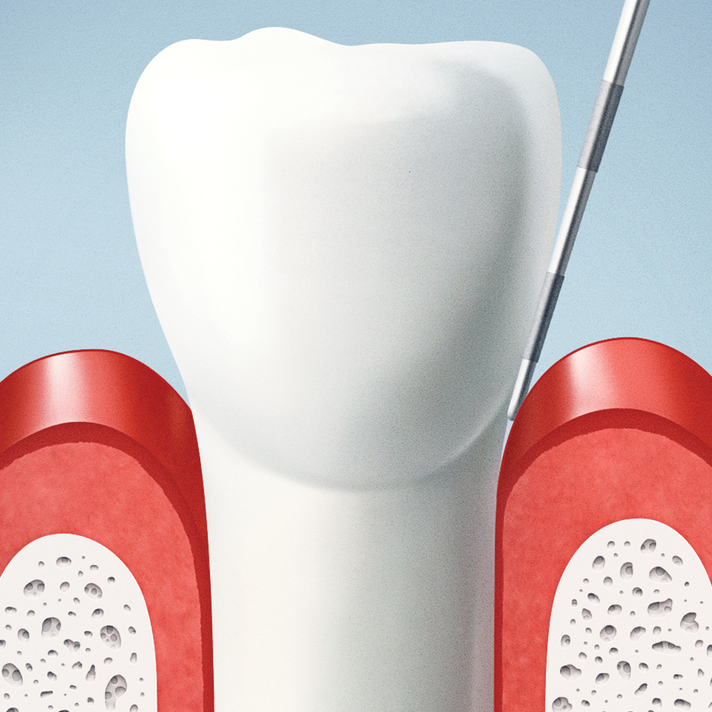 Root planing and scaling is a conservative, yet effective treatment for minor to moderate stages of gum disease. This treatment allows most patients to renew the health of the gums while avoiding more invasive gum disease treatments, such as oral surgery. During a root planing and scaling treatment, the teeth will be cleaned. A dental tool will be used to “scale” the surface of the teeth, meaning the tool will scrape away any plaque or tartar. Because patients with gum disease have plaque and tartar underneath the gums, this cleaning will also extend beneath the gum line, reaching down the entire length of the teeth. Another essential part of this gum disease treatment is root planing. Over time, the roots of the teeth can develop rough patches. These rough patches make it much easier for bacteria to cling to the tooth. Root planing allows Dr. Hochfelder to file down these rough patches and create a smoother surface on the roots of the tooth. This smooth surface will inhibit the collection of bacteria and make it more difficult for another gum infection to develop. Dr. Steven Hochfelder offers a comprehensive range of dental services to help patients maintain a strong and beautiful smile. If you are concerned about the health of your teeth or gums, Dr. Hochfelder can help. Contact us at your earliest convenience to learn more about our dental services. We look forward to hearing from you!